File Types: EPS; File Size: 2.85 MB; Vector: Yes. Circle, round divided in two arrows. Template, scheme, diagram, chart, graph, presentation. Business concept with 2 steps, options, processes. 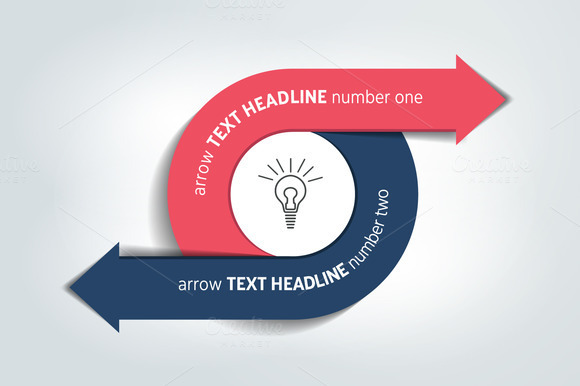 Keywords: chart, banner, data, plan, infographic, two, vector, template, diagram, circle, cycle, flow, presentation, idea, process, project, sign, design, circular, layout, 2, round, element, option, brochure, label, options, connection, bipolar, shadow, infochart, shape, visualization, icon, direction, network, symbol, arrow, line, number, instruction, manual.